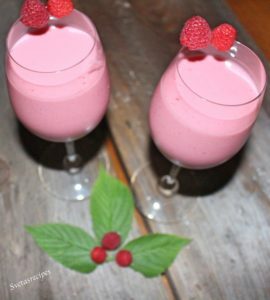 This recipe tastes awesome and is quick to make. In the morning when you drink it, you will be walking until noon. 1.) 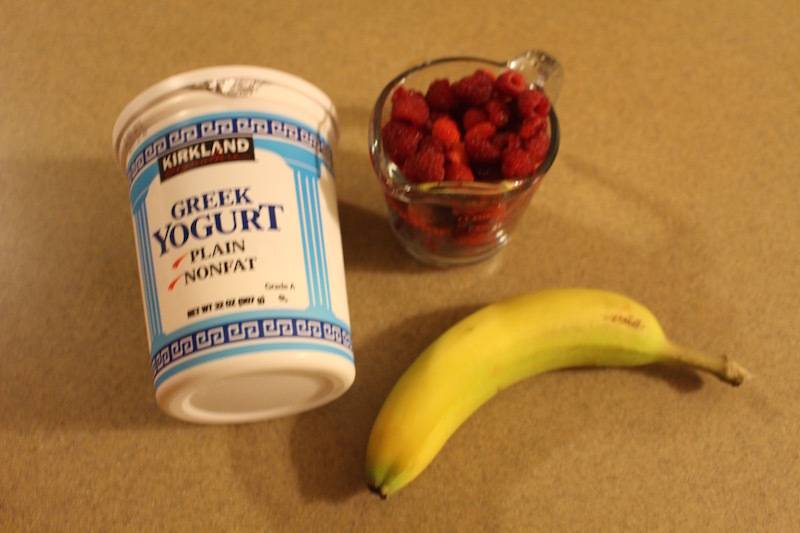 In your cup add your bananas, raspberries and all natural yogurt. Next place it in your blender and blend for 60 seconds. After place on a serving dish and enjoy! In your cup add your bananas, raspberries and all natural yogurt. 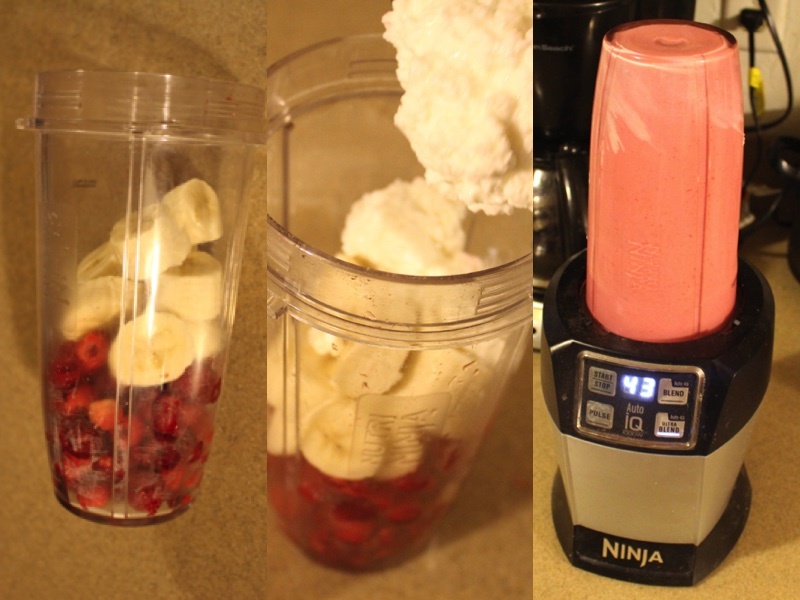 Next place it in your blender and blend for 60 seconds. After place on a serving dish and enjoy!